earth abound the sun. 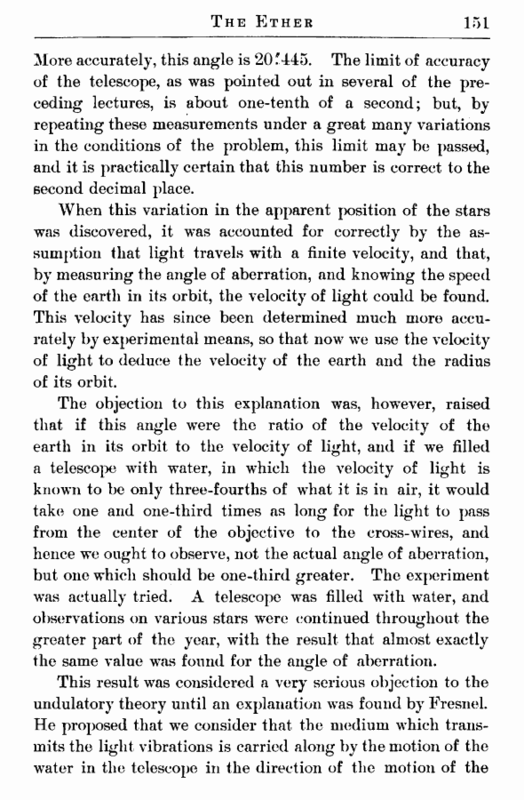 Now, if the light waves were carried along with the full velocity of the earth in its orbit, we should be in the same difficulty, or in a more serious difficulty, than before. 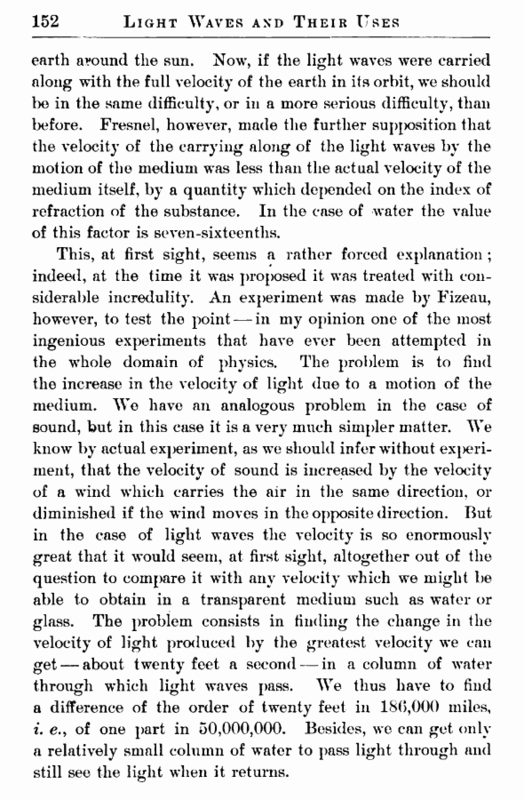 Fresnel, however, made the further supposition that the velocity of the carrying along of the light waves by the motion of the medium was less than the actual velocity of the medium itself, by a quantity which depended on the index of refraction of the substance. In the case of water the value of this factor is seven-sixteenths. i. e., of one part in 50,000,000. Besides, we can get only a relatively small column of water to pass light through and still see the light when it returns.